There are two types of Swiss 20 franc gold coins. 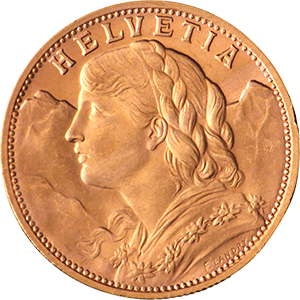 The first of which the Libertas-Helvetia minted in 1830-1896. The second type is the Vreneli issued between 1897-1949. 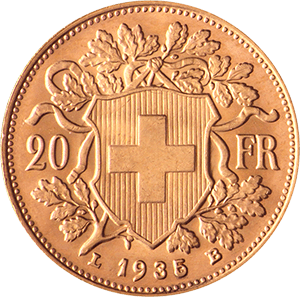 Any coins minted since 1936 are restruck due to the fact gold coins ceased being legal tender in Switzerland.